I'm a long-term venture capitalist now focusing my time, energy, and personal capital on effecting change to our educational system. 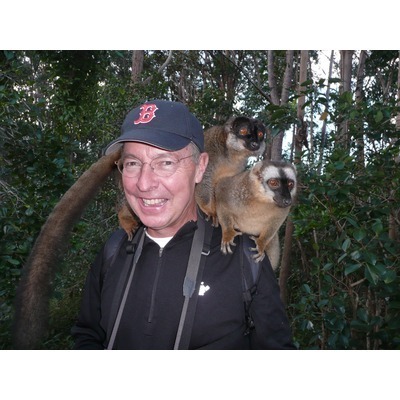 Ted Dintersmith is a partner with Charles River Ventures, a leading early-stage venture capital firm based in Waltham, MA, and Menlo Park, CA. Ted has twenty-five years of venture experience, focusing on software, information services, direct and web-based marketing, and publishing companies. He has been an early, active investor in numerous successful start-ups including ten that went public and seventeen profitable acquisitions. From 2002-2006, Ted served on the Board of Directors for the National Venture Capital Association, chairing its Public Policy Committee, and spearheading the organization’s National Competitiveness Initiative. Independent industry analysts ranked Ted as the top-performing venture capitalist in the United States for the 1995-99 period. He has been a frequent speaker at conferences on venture capital, innovation, and entrepreneurship. Earlier in his career, Ted was general manager of the Digital Signal Processing Division of Analog Devices, which he directed from the start-up phase to a leading position in a rapidly-growing sector of the semiconductor industry. His work experience includes two years as a Congressional staff assistant, where he contributed to science and technology policy. Ted earned an M.S. in Applied Physics, and a Ph.D. in Engineering from Stanford University, concentrating on decision analysis and optimization theory. His undergraduate degree is from the College of William and Mary, where he graduated Phi Beta Kappa with High Honors in Physics and English and received the Lord Botetourt Award for the graduating senior achieving the highest academic distinction. Ted, his wife, and two young children, recently completed a ten-month trip around the world, and now live in Charlottesville, Virginia. Ted has been on the Board of many non-profits, including the Endowment of the College of William and Mary, the College of Charleston Foundation, the Spoleto Festival, the South Carolina Coastal Conservation League, Boston Lyric Opera, the Alumni Board of the College of William and Mary, the African Leadership Academy, and the Network for Teaching Entrepreneurship. Ted was an early supporter of Barack Obama, and served on the campaign’s National Finance Committee throughout the campaign. Ted filled out investment critera. Ted started following Vator, Inc.